Vivi Stenberg was recruited to supervise Norwegian Melodi Grand Prix following Per Sundnes’ departure from NRK after Baku in May. She certainly has a tough job ahead, but is quietly confident that the selected entries will easily improve on Norway’s dismal fortunes of late. Didrik Solli-Tangen, Stella Mwangi and Tooji. Each artist won their respective final convincingly yet flopped big time at Eurovision. Vivi Stenberg aims to change that and tells in an interview with NRK that her main priority was to find talented, experienced people with no previous connection to Melodi Grand Prix to help her in selecting the songs. Those enlisted to assist Stenberg are Gisle G. Stokland, who has considerable experience with the hip hop genre, and who has worked for amongst others MTV and the Hove music festival. 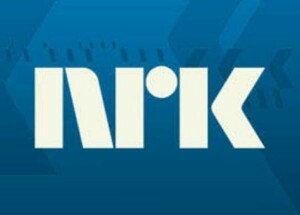 Kristin Winsents has previously worked at NRK on the Lydverket music programme. Christine Dancke may be a name recognized by some – she was the composer of Sichelle‘s 2011 Melodi Grand Prix entry – and also works as a DJ, programme host at NRK radio, and also works as booking agent for a concert venue in Oslo. According to Stenberg, these three are people she greatly respects and trusts immensely. It was Stenberg who had the initial task of sifting through the 600 entries submitted to NRK, after that, her three colleagues were allowed to have their say in selecting the final 21 acts. Unlike in previous years, when acts were normally presented to the public in December, next year’s candidates will be revealed in a special live programme every Wednesday before each heat. Stenberg comments the changes in saying: "The artists have been presented in many different ways these last few years. Our aim is to build up excitement and a buzz around Melodi Grand Prix, and by doing things this way, all artists and composers will be given the same amount of publicity. We’re aware that this will lead to much more speculation in the media, but that will make proceedings much more exciting when we reveal the acts live on TV." According to the foursome, the 600 submitted entries have come from all over the world, including the UK, USA and even Australia. Hopefuls from Greece, Sweden, Spain and France have also tried to get in on the act. "When selecting the final 21, we tried not to think of Melodi Grand Prix as a concept and to let it cloud or judgement." One of the main criteria when making their choices was that selected entries would have the epotential to make an impact at Eurovision as well as commercial viability. Dancke states that "It’s not as if the concept has undergone drastic changes this year, many will still make the connection with Melodi Grand Prix. But there are a lot of fantastic songs in the running this year, many of which can become major radio hits." The panel go on to confirm that next year’s edition of Melodi Grand Prix will contain a broad mixture of artists: "We have received entries from some major composers, who write for some of the biggest artists in the world, and that’s fantastic. It seems as if there’s no longer a stigma attached to entering the contest, this is clearly evident when looking at the submitted entries." The four think that next year’s contest will be an open race with no clear favourites, with Stokland even going so far as to say that he can see at least three potential Eurovision winners among the candidates. With just over a month to go until the first seven entries can be heard, let’s hope they live up to expectations. Next year’s Norwegian Melodi Grand Prix will be hosted by Jenny Skavlan and Erik Solbakken (programme host for the 2010 Eurovision Song Contest in Oslo. There will be 3 qualifying heats : the 19th and 26th of January and the 2nd of February before the grand final which will be held in Oslo Spektrum on the 9th of February.